(New York, NY) November 20, 2018. 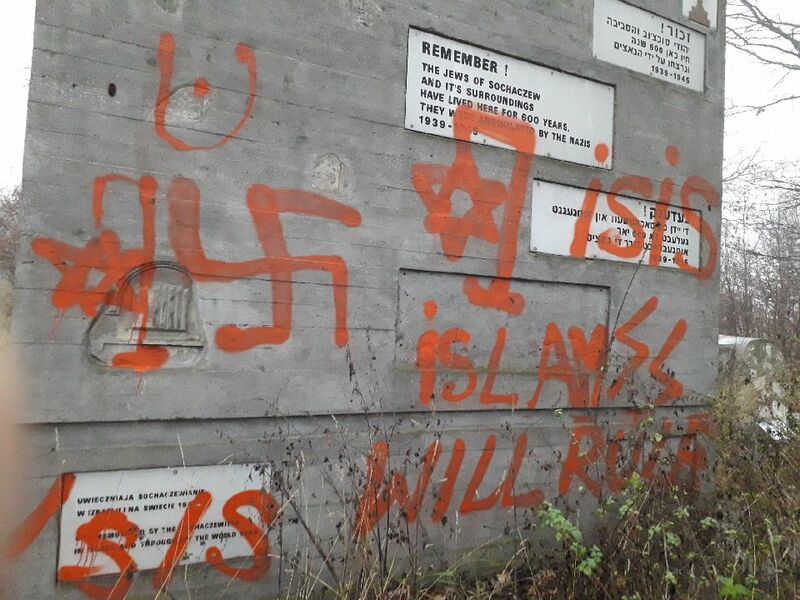 The World Jewish Restitution Organization (WJRO) condemns the vandalization of the Jewish cemetery in Sochoczew, Poland, which took place over the weekend. 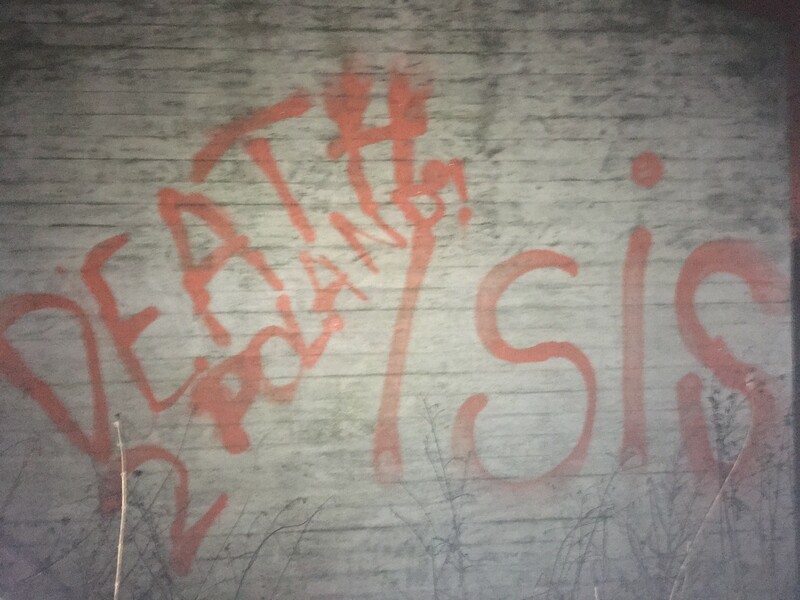 A monument commemorating the Holocaust has been defaced in red paint with swastikas and ISIS inscriptions which read “Death 2 Poland,” “ISIS will Rule,” and a drawing of a Jewish star hanging from a hangman’s post. 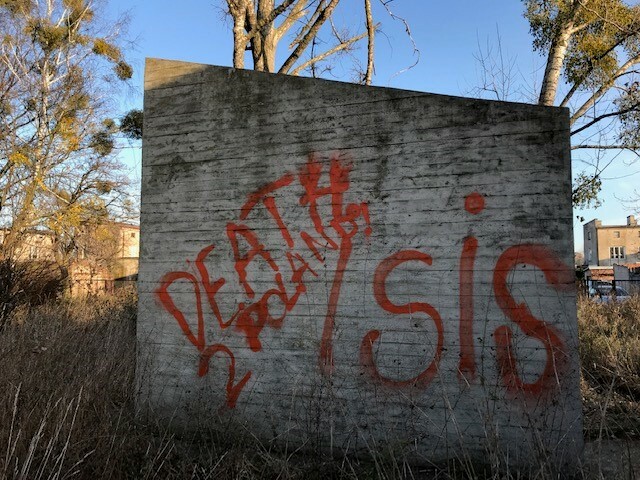 This marks the second time that the cemetery has been desecrated since 2015. The Jewish cemetery is owned by the Foundation for the Preservation of Jewish Heritage in Poland (FODZ), which is a partnership between the Union of Jewish Communities in Poland and WJRO. Gideon Taylor is co-chair of FODZ. There were 4,000 Jews living in Sochoczew, Poland in 1939. They were deported to labor camps or the Warsaw Ghetto and then to Treblinka. After the Holocaust, none returned. Photos of the cemetery after the recent defacement can be found here, here, and here.